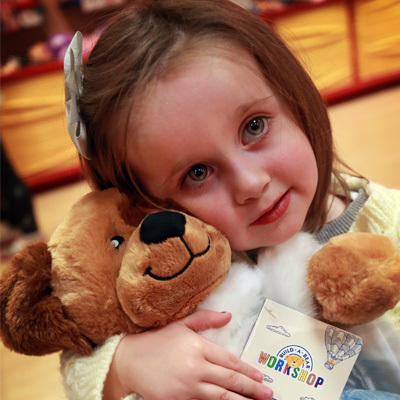 Since 1997, children and families around the world have made furry friends and memories at Build-A-Bear Workshop. Our corporate mission is to “Add a little more to life” and we live it every day. From the first day of school to blowing out candles on the birthday cake, our furry friends have been right there. They also have given hugs after a scraped knee or a visit to the doctor. 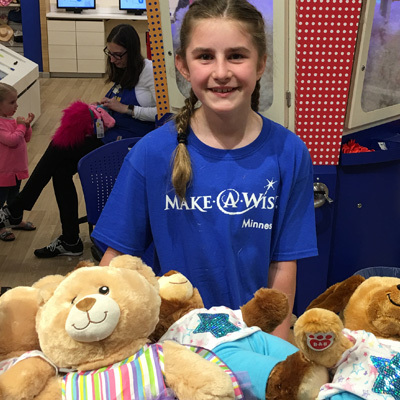 When a child is sick, scared or lonely and reaches for their teddy bear, Build-A-Bear is there. We believe in the power of hugs and the simple comfort of having a furry friend by your side. We can’t solve all the world’s problems, but we know, in a small way, the simple joy of a teddy-bear hug can make a difference. A hug is a simple, yet powerful, way to show that you care and it’s understood in every language. On good days and bad, having a teddy bear to hug can make everything a little bit better. 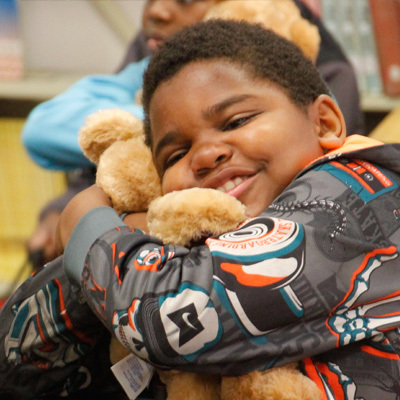 By providing teddy bear hugs to children who need them most, we can spread the power of hugs. If we can make one child smile or feel better, we can change the world one hug at a time. We have built a heritage of giving back to the communities where our Guests and associates live, work and play, working with partners around the world to bring our mission to life. We’re proud to provide in-kind contributions to nonprofit organizations and registered charities that support the wellbeing of children through opportunities to make their days a little bit brighter. To request an in-kind contribution or to learn more about our program, please click here. In recognition of National Teddy Bear Day, Build-A-Bear has donated nearly 65,000 teddy bears since 2016. Donations were made to the NSPCC, Childhood First, and other children’s charities in the UK as well as the Marine Toys for Tots Foundation, Boys & Girls Clubs of America, Boys and Girls Clubs of Canada. To celebrate 20 years and more than 160 MILLION furry friends, Build-A-Bear Foundation is bringing BEAR HUGS to children around the country by donating 20,000 teddy bears to children’s hospitals. Learn More Check Out Our Videos!